Wednesday came along very quickly. As James, Lewis and Diana sat down Lily watched down the table were Grace sat, by herself. "What you looking at?" Said the chubby boy as he sat down. "Nothing." She still watched though and then suddenly noticing who talked to her turned back to the rest of them. "Hey, Teddy." She said to him, a bit too quickly. "Where have you been?" "I don't come everyday you know." He said, stuffing toast into his face. "So what were you looking at?" "Doesn't matter." Lily muttered as she ate her porridge. With a great whoosh owls started to fly into the Great Hall from the windows at the top of the room. A big barn owl came down and landed in front of Diana. A parcel and letter was attached to it's leg. Another, more darker owl, came and landed in front of Archie. "Why do I have post?" He asked. "I'm from a Muggle family!" "Well open it and see what it says!" Hugo said. Archie took the letter and started to rip it open. As his eyes skimmed the letter they became bigger. "No way!" he aid after finishing it. "What?" Hugo and Lily asked at the same time. "I have a second uncle, or something, and he's a wizard too!" Hugo grabbed the letter and started to read through it. "Ha! You've got a wizard relative! You're still Muggle born though." Archie nodded. Diana dropped a book that came in the parcel as she stared at the letter. Her eyes just as big. "Diana?" Lewis asked. "What does it say?" As they watched her, her eyes filled up with tears and before she let them out she got up and ran from the room. "Diana!" James called. "Diana! What's wrong?" He got up and ran after her. "That was weird." Teddy said. "Come on you better get to class." "Where are you going?" Lily asked as he got up and walked away. "I'm going to see Professor Terrian. Don't forget to go to the Dueling Club. It's brilliant. See ya!" And with that he disappeared from sight. "He's right. Let's get going." Hugo suggested. Lewis walked the other direction from Lily, Hugo and Archie. They were heading for Herbology. It was cold that day. It hadn't been colder that this so far and they knew Winter was coming quickly. They handed in their homework and then started to talk about water plants. As they got given a task Lily couldn't help but go to Neville and ask a question that was nothing to do with Herbology. "Sir, What's a Special Award for Service to the School given for?" Neville stared at her. "Well if you do something to help the school then thats when you get a Special Award." He frowned. "Why?" "Oh, I was just wondering." She went back to her table and got to work in silence. The rest of the day wasn't too good either. 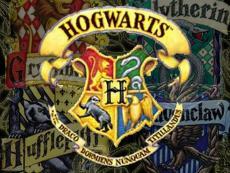 In Transfiguration they got loads of homework and Potions wasn't much better. "Give my a foot long essay about Sleeping Potions and their uses." Lily normally liked Professor Hitchens, he was a good teacher, but when they got stuff like that for homework he was just being a pain. When lessons finally ended Lily went to find James. She found him in the common room by the fire, staring into the flames. "Are you coming to the Dueling Club?" She asked as she sat down next to him. "Maybe." He took a Fizzing Wizzbee from his pocket and put it in his mouth. "What was wrong with Diana?" Lily asked, looking around the room to see if she was there. "Her older brother died yesterday from a dragon accident. He works with uncle Charlie." Lily didn't know what to say. They sat in silence until Archie came up. "The Dueling Clubs on! Let's go!" He grabbed Lily's arm and took her downstairs. James didn't follow. The Great Hall look completely different. All the tables had vanished and platform had been put in the middle of the hall. Everyone was crowding around it and looking up at Professor Terrian and Professor Murch. "Hello, everyone!" Professor Terrian said loudly. "Welcome to the Dueling Club! Today We are going to be going over some basic spells. Disarming Charm, Shield Charms and others. First thought Professor Murch and I will show you how to Duel." He walked to the left side and Murch went to the right. He faced each other and bowed. "Remember: Always bow. It gives you confidence." Terrian told them. The looked back at each other and got ready. Murch gave a quick flick of her wand and shouted "Expelliarmus!" Terrian's wand flew out of his hand and the crowd applauded. "That was a very clean Disarming Charm." He told them. A boy held up his wand. "Thank you, Smith. Now this time I'm going to try and block with a simple Shield Charm. They bowed again and got ready. Again Murch used the Disarming Charm but this time Terrian shouted "Protego!" His wand didn't fly out of his hand this time. The crowd started to applaud again as Murch and Terrian went together again. "Please, find partners, and practice this in a big space." Terrian commanded them. "Can I go with you?" Archie asked Lily. "Sure." They moved away from the crowd and found a big space. "Expelliarmus!" Archie cried. Lily didn't use the shield charm but nothing happened to her wand. "Remember the clean flick." She suggested, flicking her wand. Archie nodded. "Expelliarmus!" He remembered the flick and Lily's wand flew a few feet away. "Well done!" Lily said. She went to pick up her wand as something exploded. They all looked round to one side and saw two girls completely black. One girl's foot had turned into a dogs and the other had a horses. "It's alright everyone! We can fix this! Terrian, will you take them to the hospital wing?" Murch asked. "Yes, that would be best. Come on girls." It looked like they had trouble walking. "Ha! I'd like that to happen to you, Potter." Lily looked round and saw Sire Gilmore walk up to her. "One foot dog, the other horse. One for your mother and one for your father." "What's the point?" Lily asked. "Nothing good will come out of it." "Unless you are your brother, take a complete mental turn and get detention." Sire laughed. "Leave her alone!" Archie interrupted. Sire looked at him and smiled. "Are you friends with her? "He asked. "Yes. I've know her for ages." Archie said, nervously. "For ages? I didn't know you lived in a town with other wizards." Sire said, turning back to Lily. "Well I am Muggle born. I didn't know that I was a wizard." Sire looked even happier. "Don't you call him that!" Lily said, walking in front of Archie. "Don't you talk to me like that." Sire said, the confidence in his voice going a bit. Lily knew exactly what to do. "Oh, Archie. We better watch out or else he's going to do something!" She said in a mocking voice. "Hey! Don't mock me!" Sire said back. "What you going to do? Go to your slug of a mother?" Lily said, a smile crossing her face. She only just realized how many people were watching, even Professor Murch. "You leave my mum lout of it!" He pointed his wand at Lily. "Lacarnum Infla-"
"Expelliarmus!" Grace jumped in front of Lily as Sire's wand flew across the room. She didn't look to happy. "You leave them alone." She said sternly. Sire looked bamboozled. "And you don't tease them, bully them or practice spells on them. Understand?" "Yeah." Sire answered. Grace turned and pushed the other twos out of the room. "You two better be careful. Most Slytherins hate Muggle borns and for some strange reason they don't like Potters or Weasleys. Potter's mostly." Lily just stared at her. She turned and walked away. When she got to the stairs she looked back at them. "Remember: Stay away from Slytherins, apart from your brother obviously." She smiled and waved then skipped out of sight. Archie and Lily looked at her. "We've got homework." Archie said. They went back up to the common room, speechless. SPLiT-CHAPTER 2- "GOD SAVE THE QUEEN"